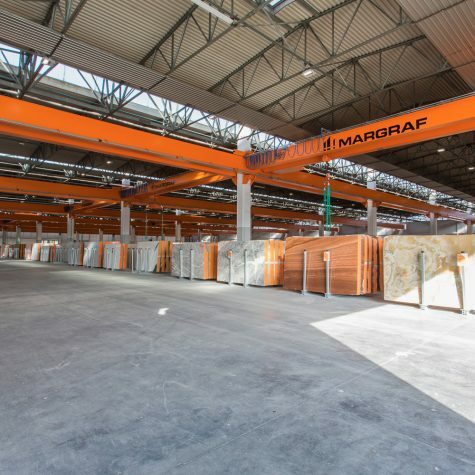 Margraf has inaugurated the largest logistics hub in Italy for the showcasing and distribution of marble. 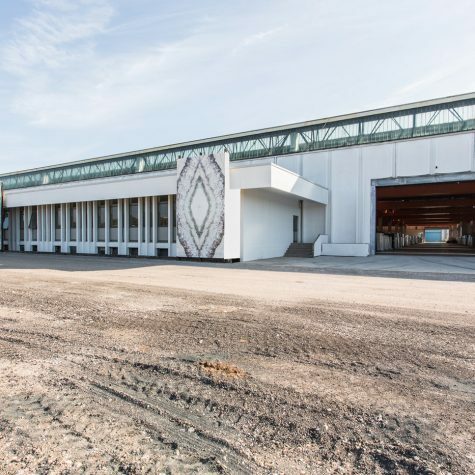 Almost the size of a small town, it is a genuine centre of excellence “Made in Italy,” covering an impressive 137,000 m² in Gambellara, a town near Vicenza and just a few minutes from the Verona Exhibition Centre. 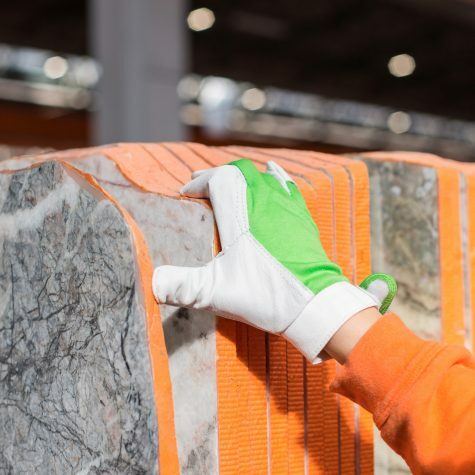 Visitors will be able to see a selection of 50,000 slabs of various materials, including marble, granite, onyx, natural stone and a range of technical materials such as ceramic slabs and quartz. 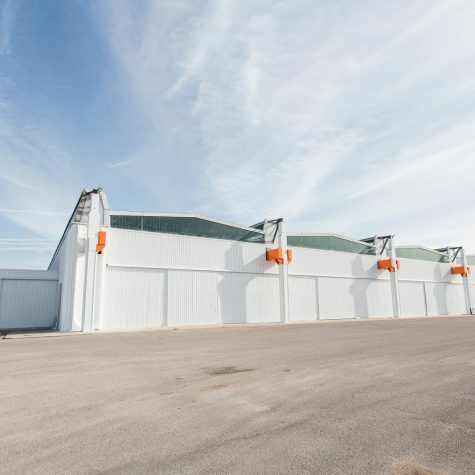 The facility is strategically located near the A4, which connects Milan, Venice and the Brenner Pass. 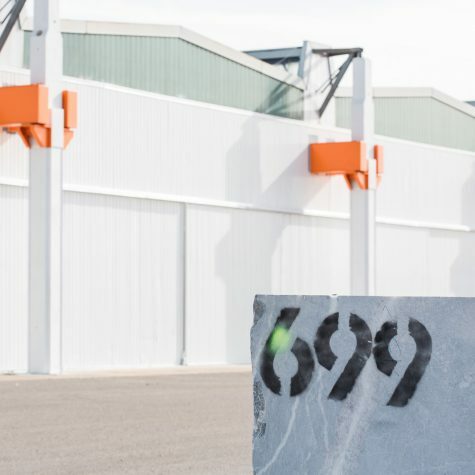 It is near the Montebello exit and a quarter of an hour from the South Verona exit. 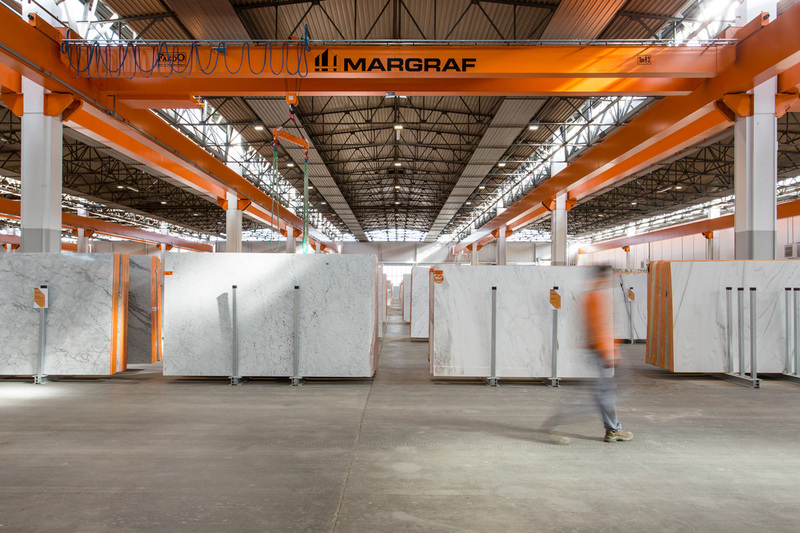 The hub will play an important role in catering to the constantly growing demand for marble. 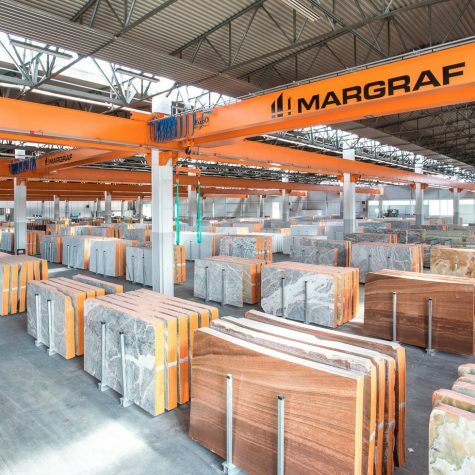 Margraf is a leading light in the field: it has been using cutting-edge technology to process marble and natural stone with the same great passion for over a hundred years. 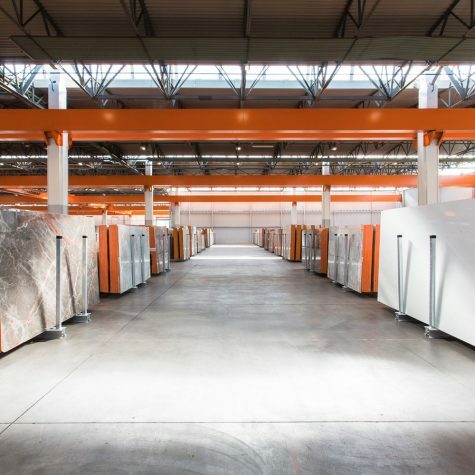 Our showroom is open Monday to Friday, from 8:00 am to 12:30 pm and from 1:30 pm to 6:00 pm, and Saturday, from 8:00 am to 12:00 pm. 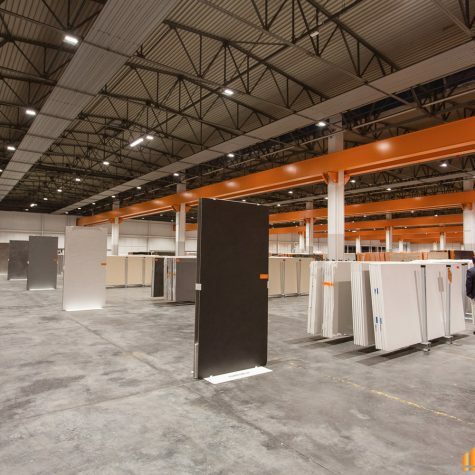 The show-room is in via Torre di Confine in Gambellara, near the exit Montebello of the A4 highway.